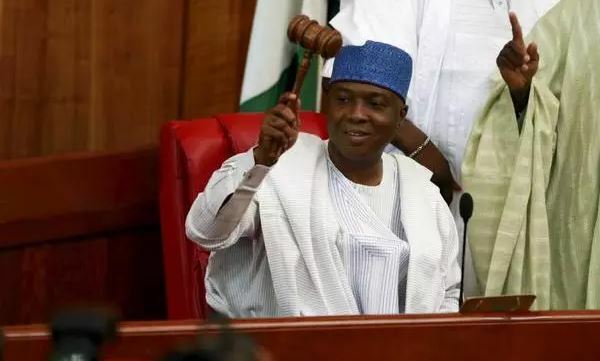 Senate President Bukola Saraki lost his Kwara Central senatorial seat ?last Saturday partly because he has not treated his people fairly, Sen Abu Ibrahim (APC, Katsina) has said.? Saraki, who has been in the Senate since 2011, lost to APC's Ibrahim Yahaya Oloriegbe despite being the leader of the Saraki political dynasty in Kwara State. Ibrahim, who recently told Daily Trust that they would ensure Saraki did not return to the Senate, said it was obvious from the campaigns that Saraki had lost even before the polls.? Asked what magic they did to give Saraki a margin of over 53,000 votes, the Katsina senator said: �The magic is that I knew what I was talking about. I had done investigation in Kwara, and the impression I got was that Saraki would never win. We then continued praying that he should lose?.? "I congratulate the people of Kwara State for being emancipated from Saraki.? He is not for the people, he�s for only himself. Saraki always considers himself first above anything, even for his family. But the Kwara people have now become wiser," he said.? He said Saraki's ?claim that he was rigged out during the election was not true as the people of Kwara Central "have rejected him."? On the leadership of the incoming 9th Senate, he said the APC national leadership should step in on time to avoid what happened in 2015 when some senators of the party went against its wishes.? ?�There are more experienced people coming in, and the party will have to take control from the onset and provide leadership. They should come out and decide who will be part of the leadership,"he said. ?